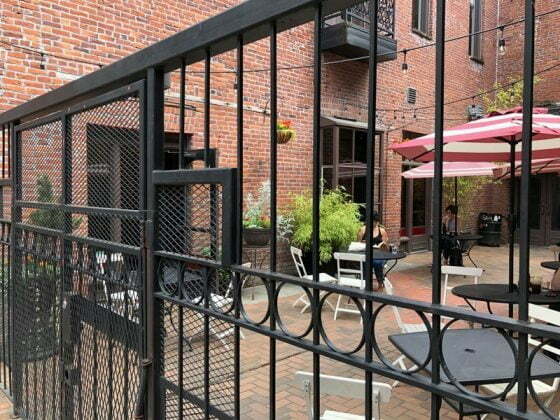 Very nice patio on the side of the old brick building. Set away from the street and fenced. A selection of egg dishes, panini, etc. are available.